A nurse testified Tuesday in the trial of Michael Jackson's personal physician that the King of Pop pleaded with her for a powerful surgical sedative to help him sleep as he prepared for a series of 2009 comeback concerts. Cherilyn Lee testified that Jackson asked her for the sedative propofol, the drug cited by the coroner's office in Jackson's June 25, 2009 death, and told her it was the only thing that helped him sleep. "He told me, 'I have a lot of problems sleeping and the only medication that really helps me to fall asleep right away is Diprivan (propofol),'" said Lee, adding that she spoke with Jackson about "everything possible" when it came to natural sleep aids. Lee asked the judge if she could rest for a few minutes after she became emotional at least twice during her testimony Tuesday. Jurors also have heard Murray -- in a recorded interview with detectives two days after Jackson's death -- describe the superstar's pleas for the drug that he referred to as "milk." Lee said she discussed the drug's effects with Jackson and told him its use was usually reserved for a surgical setting, not a bedroom. "He told me that doctors have told him that he's safe and he would not have a problem, that he just needed to be monitored," Lee told jurors. "He said, 'I just need someone to come here and I will be safe as a long as I'm monitored.'" Prosecution witnesses, including a leading propofol expert and medical equipment executive, have testified that Murray did not have the proper monitoring equipment at the rented Holmby Hills mansion where he treated Jackson. Jackson's preparation for the concerts has become a focal point for the defense, which opened its case Monday. 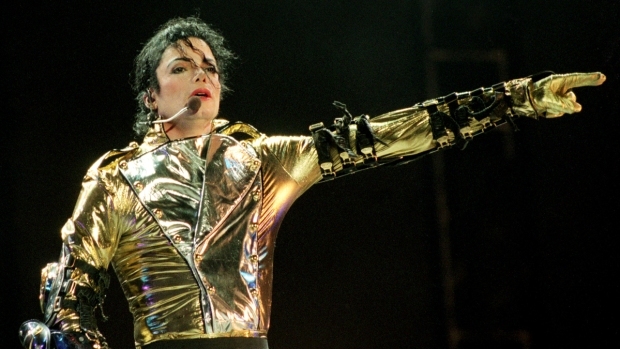 An executive with the concert promoter for Jackson's "This Is It" concerts testified Tuesday about the anticipation surrounding the shows. "We had never seen that kind of demand for tickets pre-show," said Randy Phillips, the president and CEO of concert promoter AEG Live. Jackson had a few requests of Phillips. Jackson also mentioned his need for a personal physician on the trip. That led to a meeting involving AEG executives, Dr. Murray and Jackson about the superstar's health. Phillips said Dr. Murray told him Jackson was in "great health." Phillips testified that director Kenny Ortega, who worked with Jackson on "This Is It," expressed concerns during the second week in June about Jackson missing rehearsals. "Kenny started to get concerned that Michael wasn't as focused... as he needed to be for a production of this magnitude," Phillips said. Michael Henson, a technical operation officer at Pacific Toxicology Labs, whose office tested Jackson's urine for lorazepam, was the last witness on the stand Tuesday afternoon. The defense has attempted to portray Jackson as desperate for sleep and responsible for his own death. On Monday, they also called a long-time Jackson doctor who testified about Jackson's sleep problems and the entertainer's desire to please his fans during a series of planned concerts in London. "He spoke to me about his excitement and fear about the (This Is It) tour," Dr. Allan Metzger said, recounting a visit with Jackson two months before his death. "I think his fear was this was a big obligation. He realized it was a huge ordeal to do that. He believed he was up to the task, but also fearful about his nutritional state and staying healthy." 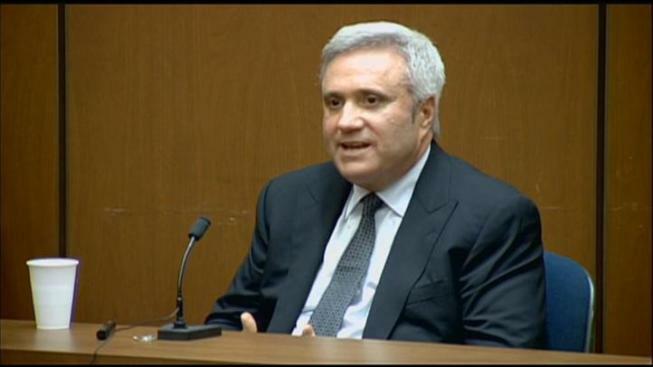 Metzger also testified that he opposed the use of propofol as a sleep aid. Metzger was asked by prosecutors whether there was any amount of money that would have convinced him to give Jackson propofol. Murray was paid about $150,000 to care for Jackson. "You explained to him that it that was dangerous, life-threatening and should not be done outside of a hospital, correct,'' prosecutor David Walgren asked the doctor. The defense also might call the president and CEO of AEG Live, the concert promoter for Jackson's "This Is It" concerts, and Jackson's makeup artist and hairstylist. They will also try to chip away at the testimony of prosecution experts -- the prosecution called 33 witnesses before resting its case Monday -- who claimed Murray was reckless and at fault. Prosecutors allege that Murray administered the fatal dose of propofol after Jackson's restless night at the Holmby Hills mansion, then failed to properly monitor his patient. Defense attorneys claim Jackson self-adminstered the fatal dose when Murray left the bedroom. The defense also has claimed that Jackson created "a perfect storm" inside his body by swallowing the sedative lorazepam. Defense attorneys might conclude their case Thursday. Attorneys still have at least half a dozen or more witnesses, including medical experts and former patients who will attest to Murray's character. Murray's name is not on the list. Judge Pastor makes it his policy to inform defendants that they have an absolute right to testify if they so choose. Might Murray overrule his own lawyers? "Watching Dr. Murray today, his demeanor, he seems to be biting at the bit to get on the stand to testify," said attorney and legal analyst, Dermot Givens. "And, his defense attorneys have left so many questions unanswered with all the other witnesses. Dr. Murray is key to telling his own story." Janet Jackson arrived for proceedings Tuesday after rescheduling a series of Australia concerts.